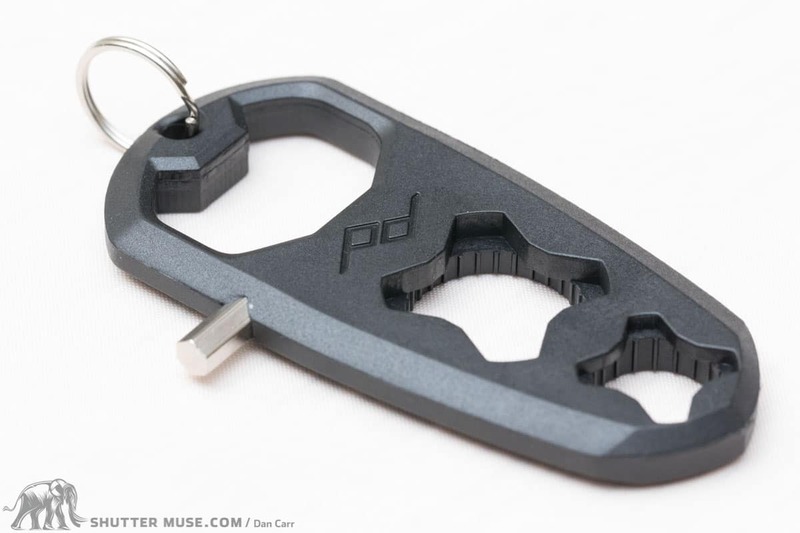 Peak Design Launched a new version of the Capture! I have reviewed it here. The version that is reviewed on this page is no longer available. Spoiler alert… the new V3 version is MUCH better! 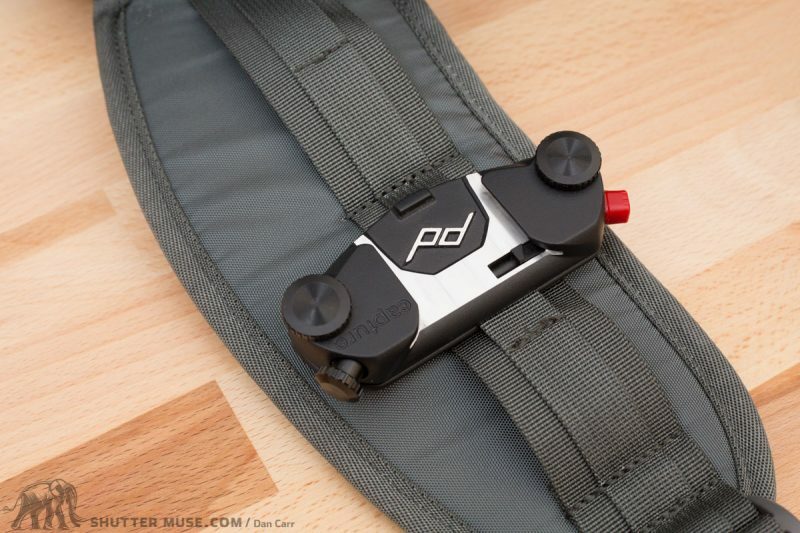 The Capture Pro from Peak Design is a quick release clip that allows you to attach a camera to your belt or camera bag in a position that allows quick and easy access. 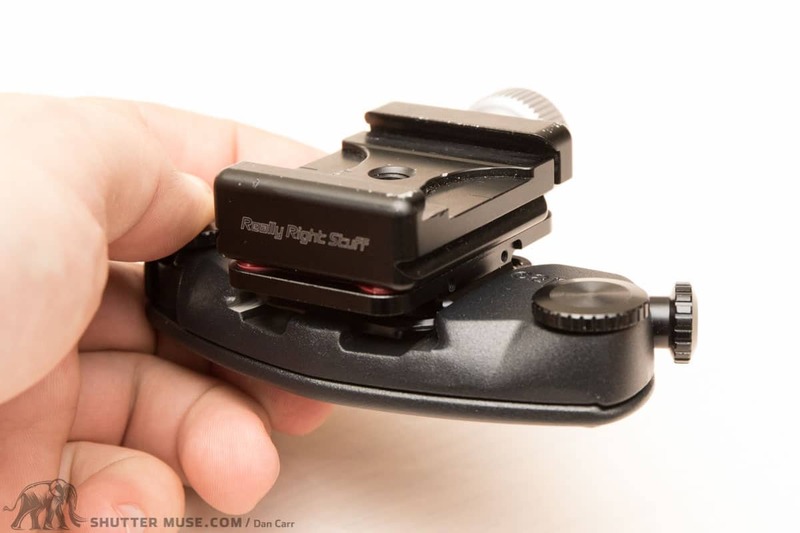 The Capture Pro ships with an Arca Swiss compatible camera plate that clicks solidly into the Capture Clip itself, and requires a button to be pushed in order to release it. 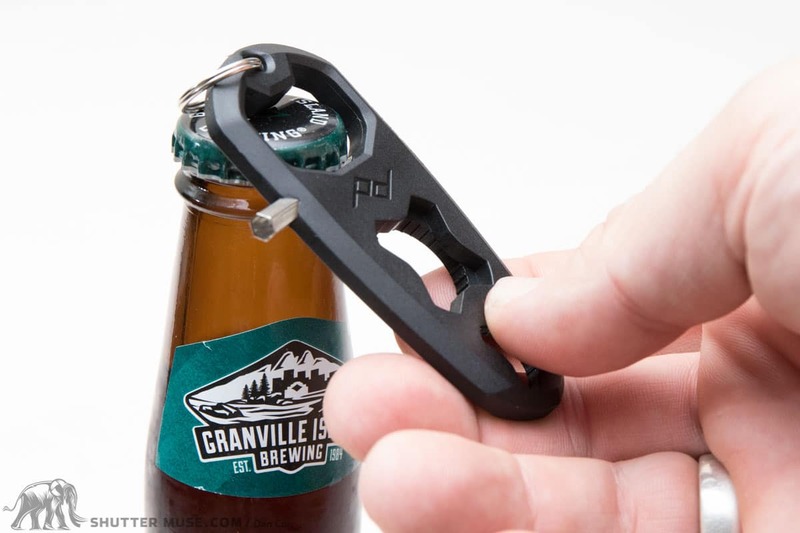 Thumb screws on either side of the clip allow you to adjust it to different thicknesses so that you can clip it to a wide variety of belts and straps. The split clamp design means that the clip itself cannot come off your belt in any way once the thumbscrews are tightened. 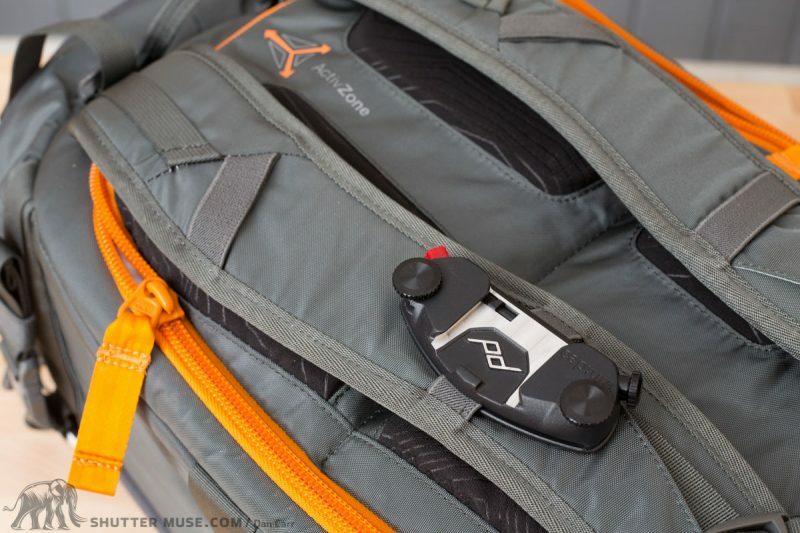 Capture Pro attached to the shoulder strap of the new Lowepro Whistler 450 AW pack. 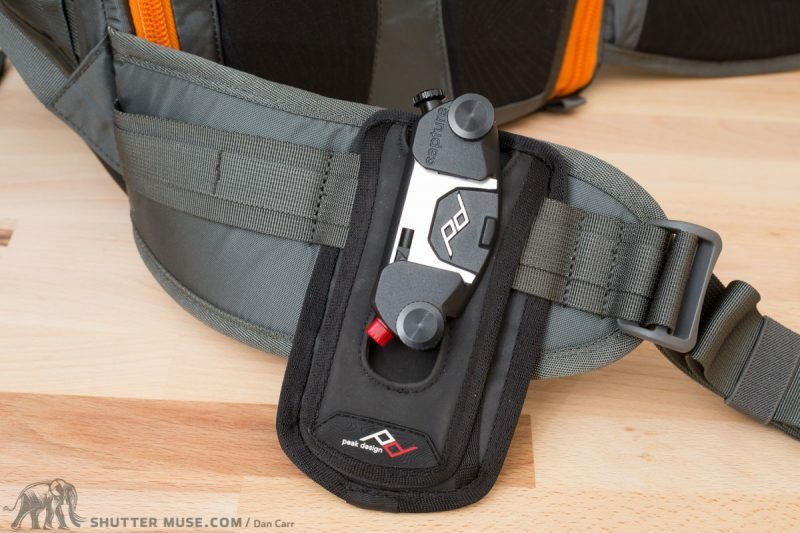 Capture Pro attached to the waist belt of the new Lowepro Whistler 450 AW pack. 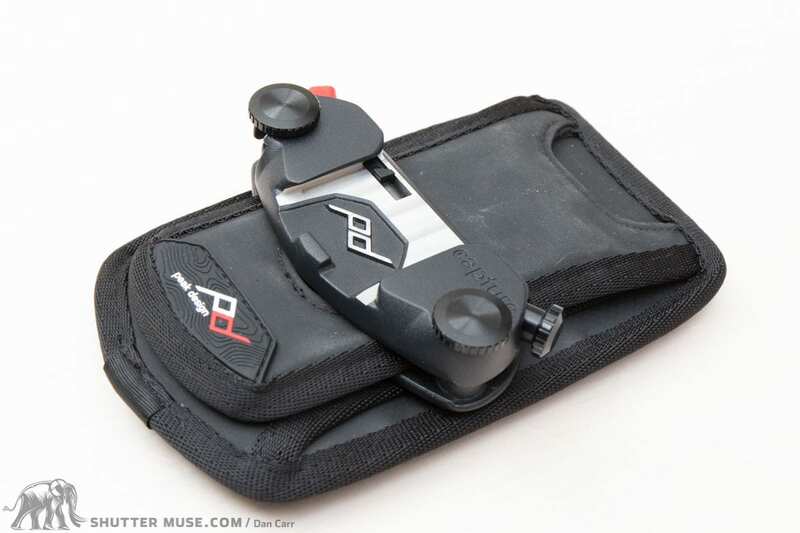 The Capture Pro Clip is a great accessory for for a huge variety of photography types. I enjoyed attaching it to my outdoor photo pack so that I could have a camera close to hand while I was hiking, but it works equally well for event photography where you need a quick place to hang a second camera. I have no qualms about hanging heavy gear on the clip, the only defining factor is how tight you want to do up your belt to prevent your pants being lowered inadvertently! Of course hanging really large lenses on your belt isn’t too practical if you’re moving around a lot, especially in a crown. In practice, I probably wouldn’t use it for anything larger than a camera with a 24-70 f/2.8 on it. My favourite place to attach the camera was definitely the waist belt of my large photo packs. Several of the packs I’m currently testing, like the Lowepro Whistler 450 AW and the MindShift First Light 30, have perfect webbing straps on the belts for this, but I also found use for it in attaching a camera to the shoulder strap of my Think Tank My Second Brain 15 Briefcase laptop bag, a bag which is otherwise not designed to hold a camera at all. 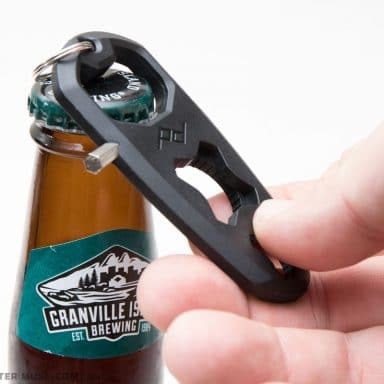 Multi-purpose tool for the Capture Clip! What you see here is the Pro Plate mated to a RRS B2-FAB clamp. 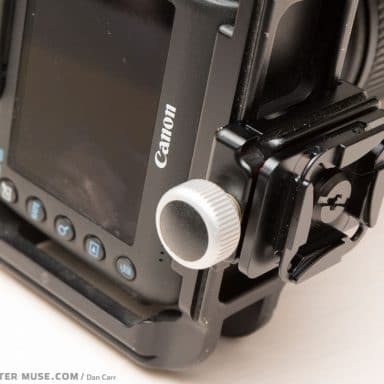 This effectively adds an Arca Swiss clamp to the Capture Pro. I tested the Capture Pro, but there are a few variations on this product. 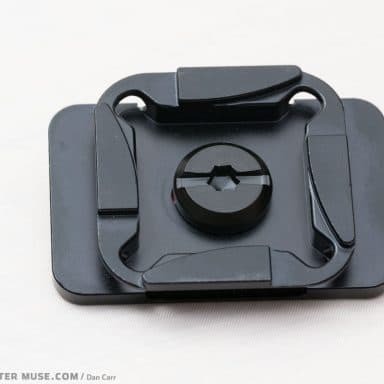 Firstly there is the regular Capture Clip which lacks the 1/4 20 threaded hole on the back and isn’t compatible with the Manfrotto RC-2 tripod plate standard. 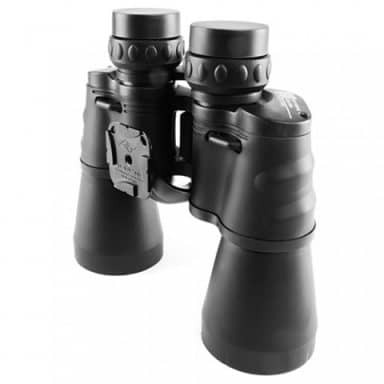 Next up there is the POV action kit which includes a quick release plate for attaching a GoPro, and then there’s the BINO, which allows easy carrying of your binoculars. 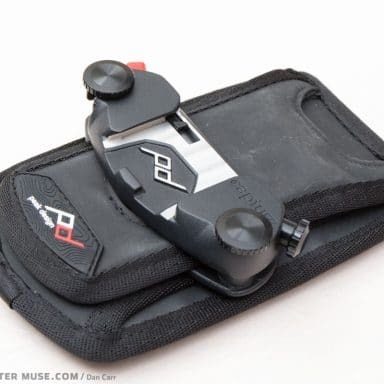 Both the POV kit and the BINO kit come with the regular Capture Clip and not the Capture Pro, but the POV and BINO adapters are available separately as well, so you can always buy the Capture Pro and adapters to create your ultimate kit. 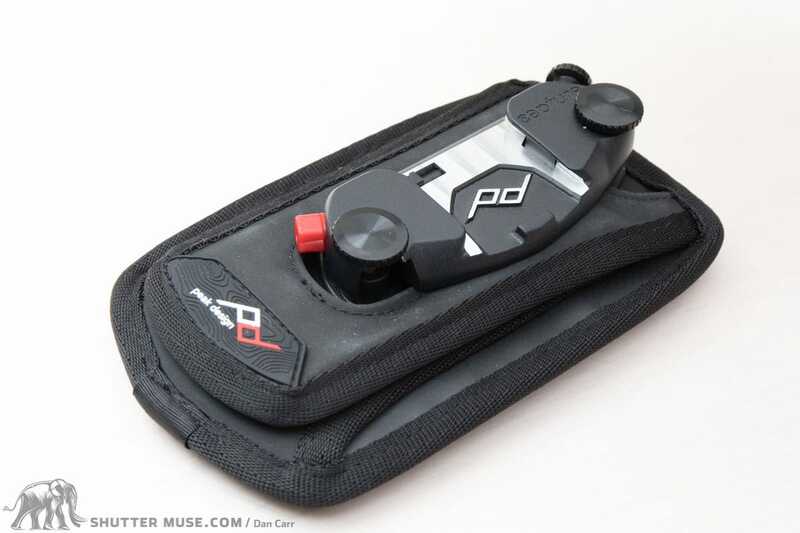 The ProPad is an accessory for the Capture Clip lineup that makes it more comfortable to carry heavier camera setups. You can thread a belt right through it, or you can slip it over a belt and then secure the pad to the belt with the Capture Clip itself. 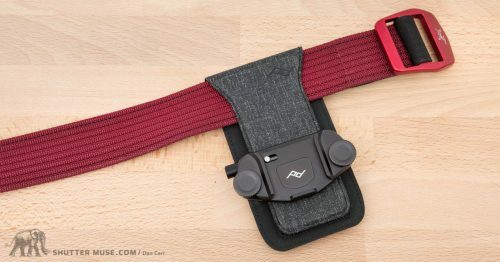 I also found that it works very well on the waist belt of camera backpacks. 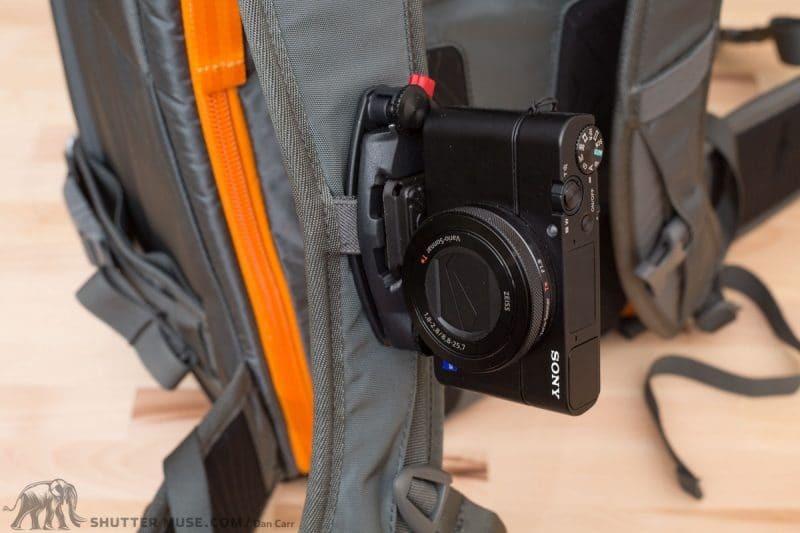 In the photo here, you can see it attached to the Lowepro Whistler 450AW pack which makes a great pairing. If you’re using a mirrorless camera, you probably don’t need the ProPad. I found it useful with a full-sized DSLR, though. It’s nicely made and feels like it’ll last a long time. Here the ProPad is being used to add comfort to the Capture Pro when attached to the hip belt of the new Lowepro Whistler 450 AW adventure photo pack. It’s a perfect fit! Almost as if they were designed to be together. 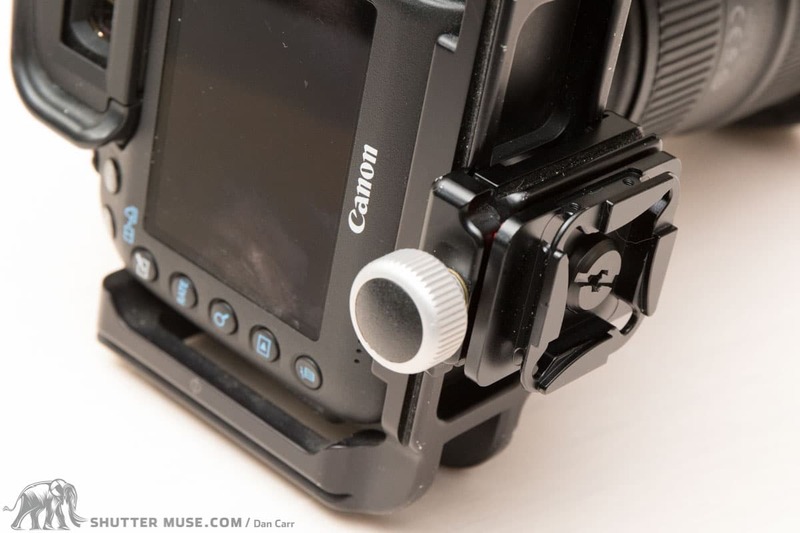 The Capture Pro is a great accessory for event and wedding photographers in particular. Whether you’re using it to hold your main camera, or a second body, it’ll definitely come in useful. Any concerns I might have had about hanging $5000 of gear on my belt, were quickly alleviated; the clip system is strong and confidence inspiring. 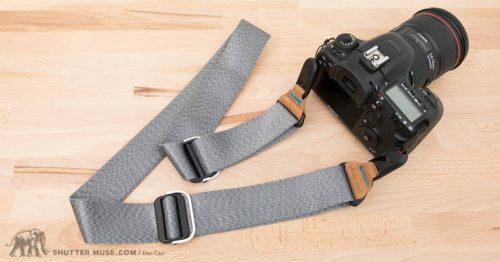 My favourite usage of the clip was for attaching my camera to either the waist belt or shoulder strap of my backpacks. Whilst I would do the majority of walking with the camera in the bag, it was nice to be able to move freely once I arrived at the location, and have quick access to at least some of my gear. Interesting review, Dan. I’ve been looking for a solution like this for years. I do mainly travel photography, and carry my Nikon D700 and 24-70 over one shoulder with an Optech strap to ease the load. Its not a perfect solution, as having the weight on one side can throw my posture out of balance and give me back problems with a lot of walking. I notice that the photos accompanying this article didn’t use a DSLR to illustrate using the clip. I’d still be concerned with something as heavy as my normal camera/lens combo being secure with the clip, but you seem pretty confident that it will hold heavy, expensive gear safely. Yeah no DSLR in the photos as I was using it to take the photos but there’s one in the video. I have no concerns about its ability to hold weight at all. It’s probably safer than many camera straps as your gear is held by metal and not nylon. 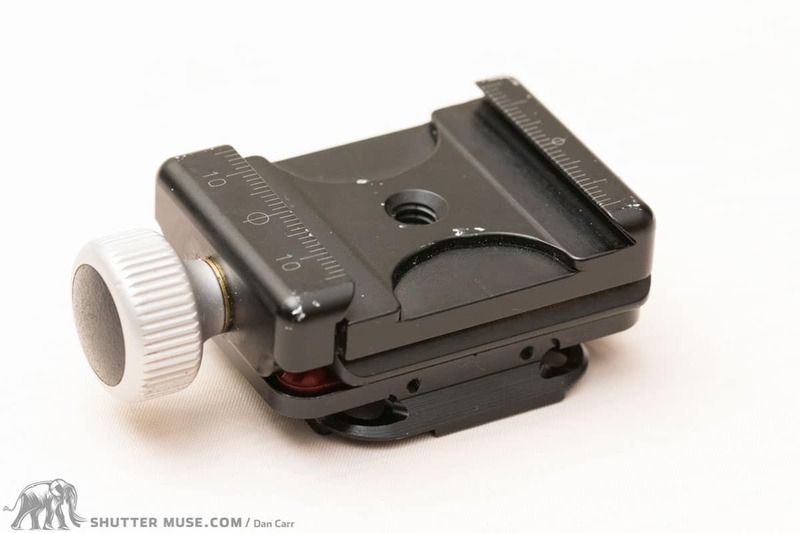 If you use the ProPad and orient the clip horizontally, there’s no way it could come out because it’s pulling down into the clip. 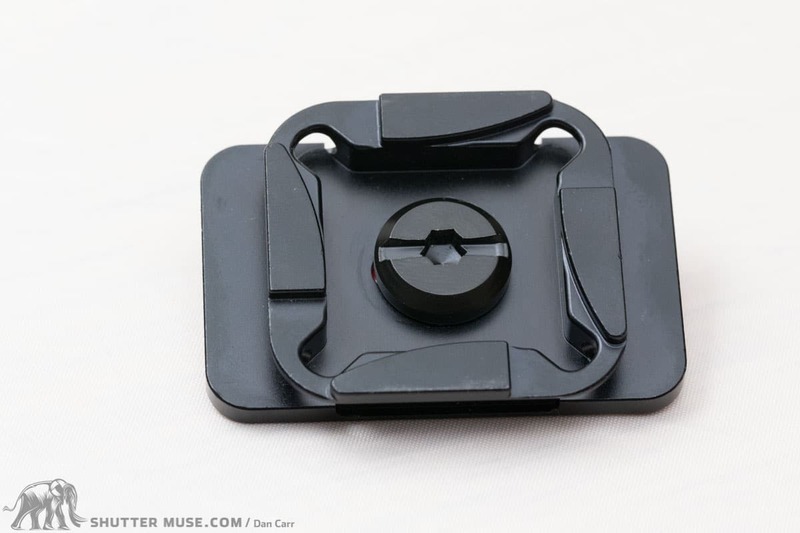 You will have to remove your existing plates and use the Peak Design one but the Peak Design plate is compatible with Arca Swiss clamps and also Manfrotto ballheads with a small adapter that (I think) comes with the pro plate. 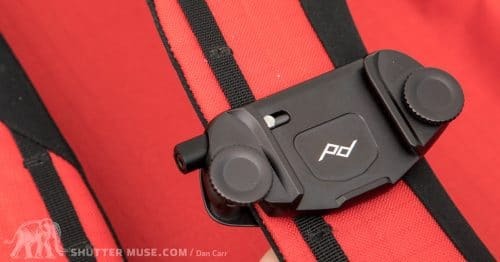 Just a quick question as to whether you have tried it and whether is is comfortable on backpacks that have no straps to attach the Capture Clip to, meaning you have to use the entire backpack strap (as per the last picture on the hero images of the PD website). Is this a comfortable way of using it? PD suggest it is but I am looking for a ‘real world review’. 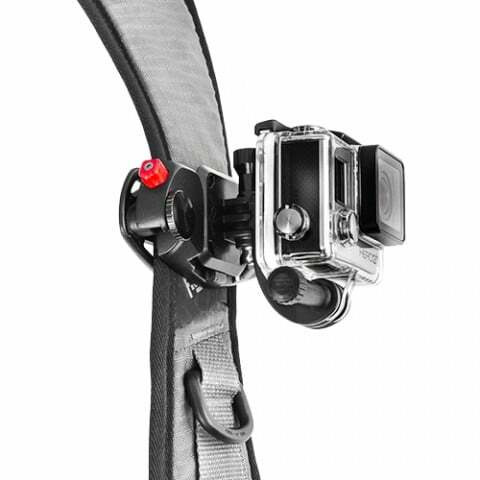 I am thinking of buying a Mindshift Horizon which (by the looks of it) the Capture Clip will have to be attached to the whole backpack strap. Hey Jason. Do you mean the guy in the green jersey on their site? It really depends on the thickness of the straps. I have some packs that would be too thick. I’m away right now so my horizon is at home but from memory there is a strap that works for the capture clip on the horizon anyway. 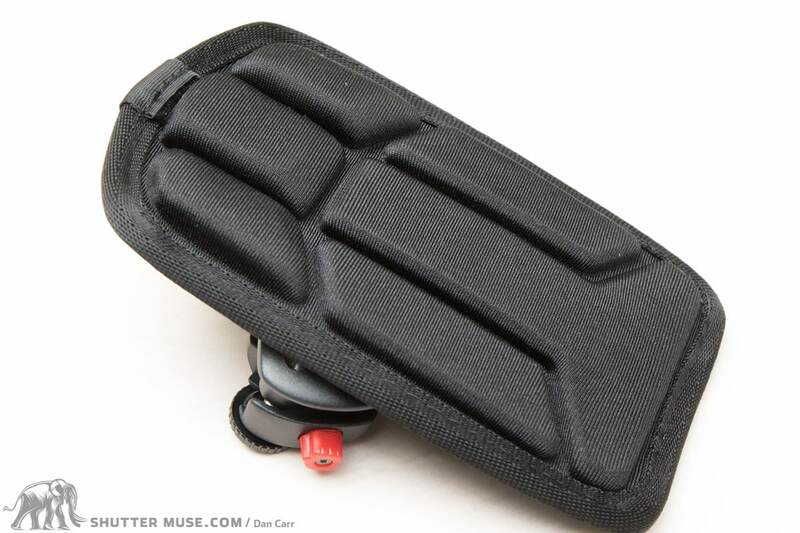 Little horizontal strap that allows vertical attachment of the clip. 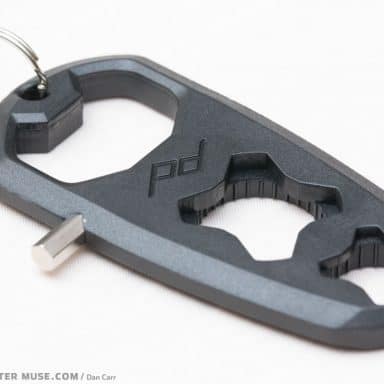 FYI, Peak Design also sells “long clamping bolts for the Capture Pro that works well with the heavier shoulder straps of my pro dslr weight camera bag. Thank you for this review (well, for all your reviews actually) and for the tip. I used a similar trick to pair a BlackRapid FastenR to a Kirk 1″ QR plate (and some blue loctite) with great success. I wanted to try some Peak Design gear and I saved 10% thanks to your reference code. Thank you for that as well. My question is about the RRS plate that you paired with the PD PROplate. 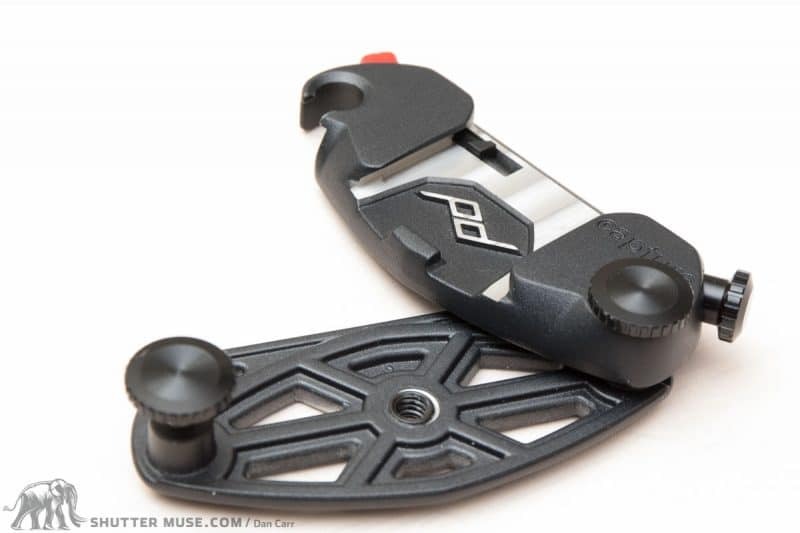 You say that it is the RRS B2-FAB clamp but it seems that the B2-FAB does not have a dovetail base and comes with anti-twist tabs that I was wondering if they would fit the PD PROplate. 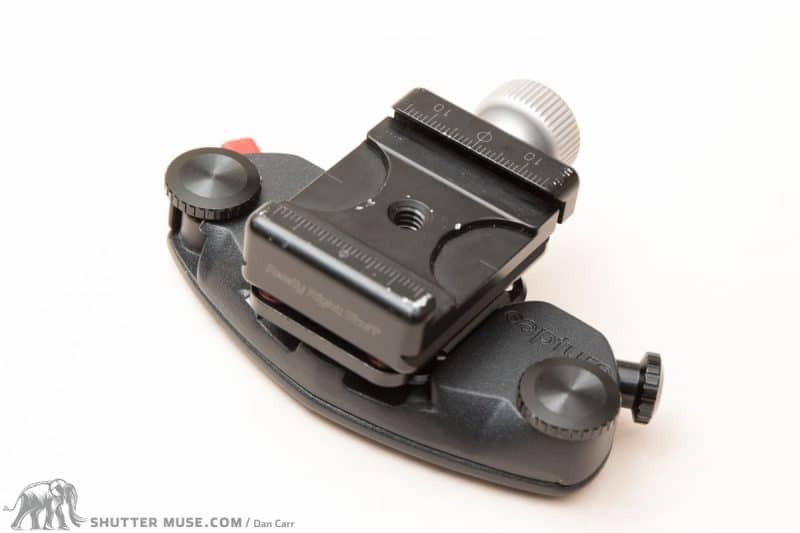 I do not know if you had a previous version of the B2-FAB or if the RRS clamp in your picture is the B2-mAS II instead (which has similar dimensions but features the dovetail base and no anti-twist tabs). I did not have a satisfactory experience with my CapturePro. 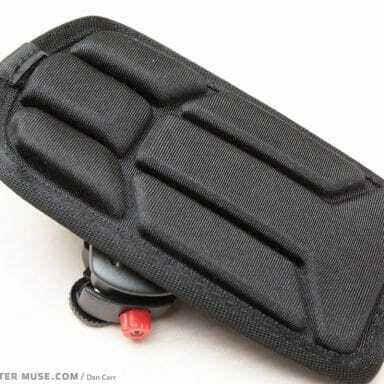 The first pack I tried it on; the strap was too thick to accommodate the CapturePro base. 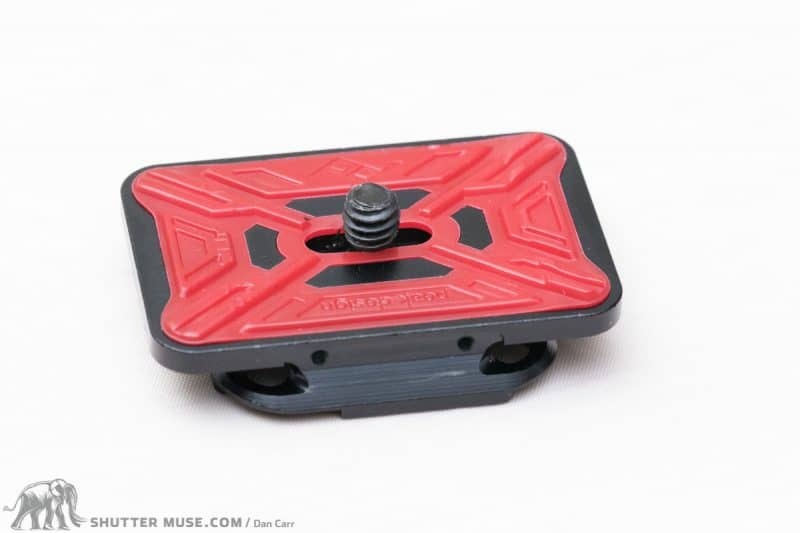 More to my distress, while hiking in the Tetons Cascade Canyon and Indian PaintBrush Canyon the ProPlate lodged itself in the base requiring both hands to dislodge to take photos. On one occasion I had to remove the pack in order to dislodge the camera and plate. I shoot with a Canon 70D which admittedly is a heavy camera. Portions of the canyon trail can be strenuous but no actual rock climbing is involved. On the upside and I never once thought my camera to be insecure. 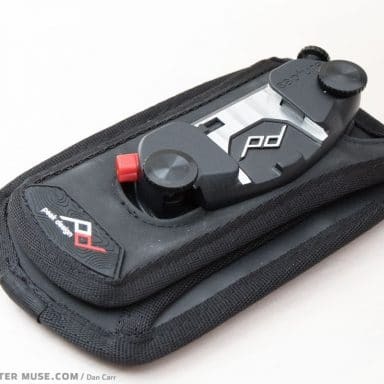 PD has agreed to the return of the CapturePro at my expense for refund. Removal and holstering the camera was just not as smooth as expected according to advertisements. These are actual experiences on the trail September 12-16. Thanks. I can agree with this: for the couple of weeks my device worked it was extremely stiff and clunky. It was a two-handed job to insert or remove my camera. My Capture Pro inextricably clasped my camera in its clip, never to be extricated; and after only a couple of weeks’ use. Amazon immediately refunded me. Sorry to hear you had trouble! Realize this follows some time after your original review of the Capture Pro, but wanted to add my appreciation for an exceptionally helpful one. 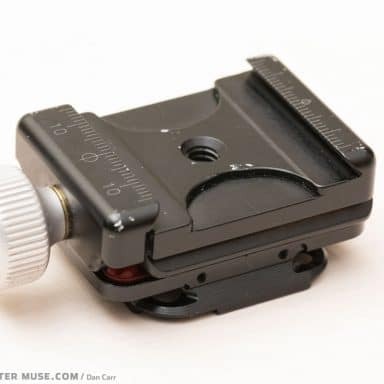 I do have one concern: I also use the RRS L-brackets on my cameras and the clamp you reference seems like the perfect workaround, but it also seems to eliminate the security features of the the clip. The Capture clip has a locking mechanism to hold the camera securely in place, there is no such lock on the clamp. 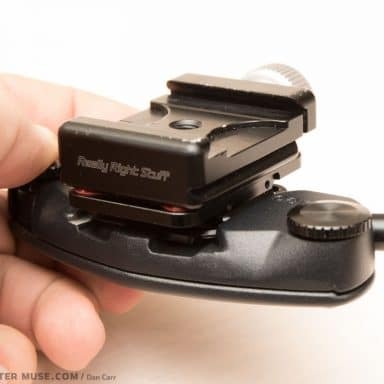 The addition of the RRS clamp seems to negate that safety feature as it appears the clamp could loosen its grip with the regular back and forth of working in the field–especially when toting heavier gear/lenses–thereby allowing the camera to slip from its footing. Am I worrying needlessly?